Available Colors: Matte: Black, Blue, Red or Green. Second Location: Add $.30 per piece. Shipping Weight: Cello Bag, 500 per carton @ 35 lbs. Customized Aluminum Bottle Shape Carabiner Item #HT-2073 is Promotional with your business logo for advertising to clients. 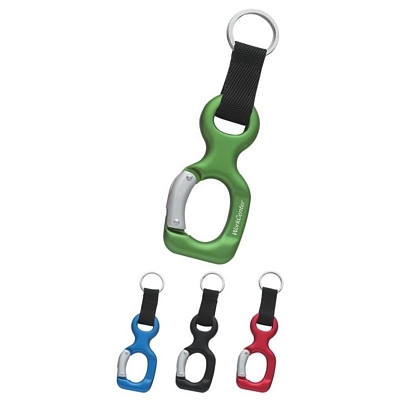 Customized Aluminum Bottle Shape Carabiner and other Promotional Carabiners are decorated with No Setup Fees. Customized Metal Key Tag with Bottle Opener Item #HT-2080 is Promotional with your business logo for advertising to clients. 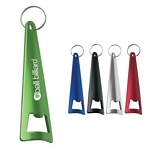 Customized Metal Key Tag with Bottle Opener and other Promotional Bottle Openers are decorated with No Setup Fees. Customized Tepee Bottle Opener Key Ring Item #HT-2075 (Minimum Order: 300). Promotional Key Chains like the Tepee Bottle Opener Key Ring can be personalized with your business logo and with No Setup Fees. Customized Wide Aluminum Carabiner with Key Ring Item #HT-2077 (Minimum Order: 250). 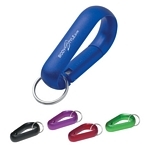 Promotional Key Chains like the Wide Aluminum Carabiner with Key Ring can be personalized with your business logo and with No Setup Fees. 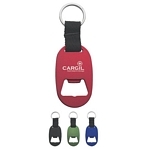 Customized Engraved Color Metal Key Tag Item #HT-2078 (Minimum Order: 250). 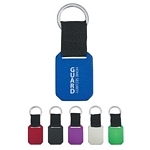 Promotional Key Chains like the Engraved Color Metal Key Tag can be personalized with your business logo and with No Setup Fees.